Your beard and hair will grow over time. 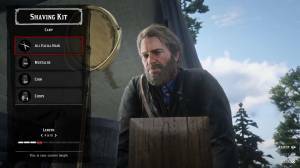 If you want to maintain it or just customize your appearance, you can use the shaving kit near your tent in your gang’s camp or visit a barber shop in towns and cities. 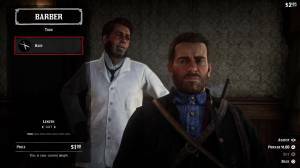 The barbershop will offer a lot more grooming options. You can also enjoy discounts on all his services by having high honor.